Independent and a private limited company, City Financial Property Services has been established for over 13 years. Our aim is to use our knowledge and expertise to help you add value to your property interests. Services we offer to a diversified client base encompass the following themes: residential or commercial leasing and acquisition of property assets; guidance to property investors; providing access to funding and financial products; market analysis and feasibility and strategy. 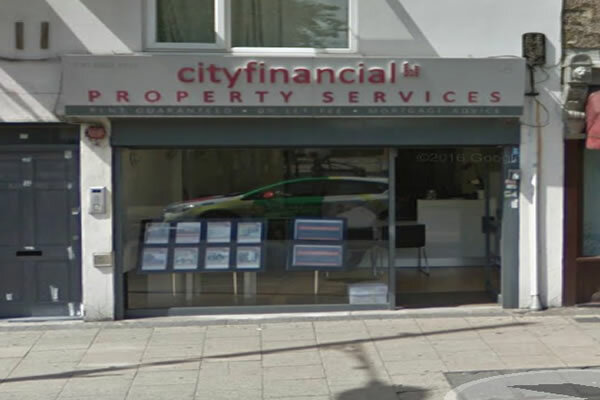 We cov Read full description...Independent and a private limited company, City Financial Property Services has been established for over 13 years. Our aim is to use our knowledge and expertise to help you add value to your property interests. We cover London and Essex areas and complete regular valuations, thereby gathering intimate knowledge of property prices and analysis of economic and demographic trends of specific postcodes. We achieve maximum rental yields for landlords and sales prices for vendors. Staff members in our agency are committed and welcoming. Please do not hesitate to telephone our office for further information relating to the services we offer. I was with this agency since November 2014 and never have any problem the staff are so friendly and always have helped me when I had problem with rent or bill excellent. They could have fixed all of my problems, actually contacted me and not allowed the problem flatmate to continue to live there. They have continually lied to us about the TV licence being included. They supposedly have a cleaner which we pay for but have seen twice. 700 for a non ensure room us far too expensive considering the problems we have had. Fix things rather than wait until I threaten to not pay rent until things get sorted. Agents should respect agreements and do their job, which is not the case with these agents most of the time. So far providing very bad service. At City Financial Property Services, we offer a Rent Guarantee Scheme, free of charge with no commission for landlords. Tenants are charged an administration fee, which is equal to one weeks rent. If you believe you have a grievance, please write in first instance to your City Financial Property Services local office. Your grievance will be acknowledged immediately, investigated thoroughly and a reply sent to You within 10 working days.